Always a huge mascara fan, I'm never against trying out something new if it promises big, beautiful, bold lashes. My holy grail mascara has always been Covergirl Professional Super Thick Lash and I've never been able to find anything that can top it. But this—Younique's 3D Fiber Lashes—might just make it even better. My cousin Lindsay, a Younique consultant, told me about this "mascara" recently and I knew I needed to test it out. I think what I love most about it is that you can still wear your favorite mascara with it, and it just adds a nice "pop" on top of your overall look. For those of you that don't know what these "3D Fiber Lashes" are—it's essentially a mascara & green tea fiber combo (it comes in two tubes) that you layer on top of your regular mascara. You apply a coat of your regular mascara, let it dry, apply a coat of their "transplanting gel," immediately swipe the fiber wand over your lashes—the fibers stick to your lashes and add instant length & volume—and then seal it with another coat of the transplanting gel. It's like a mascara/fiber sandwich! Removal is simple—all you need is warm water and makeup remover (depending on your mascara/eyeliner combo). Wash your face per your usual routine, and you'll see the fibers come right off. At first, I was a bit of a skeptic. But after a coat of the 3D Fiber Lashes, I was a believer. See for yourself below in my before and after photos. 3D Fiber Lashes, I love you. And here's why... they are buildable. If you want to do one coat for a bit of added length and volume, it's all good. But if you want a truly dramatic, glam look, you can keep layering the fibers and they make your lashes bigger and bigger. Also, if you just want to just add length, simply add the transplanting gel & fibers to the tips—not the whole lash, as I did. These 3D Fiber Lashes will transform the way you look at your regular mascara. I've worn the fiber lashes for the last two days, and today—without them—my lashes just don't have that added oomph. I'm telling you, this product is so great for creating that glam look. You will feel your eyes sparkle when you wear it. But that's just my two cents! Also, 3D Fiber Lashes retail for about $29, which is definitely on the higher end of the price range, but when you think about how you only need to use a little bit at a time, you can really make this product last. If you've considered spending about that much on a higher-end mascara, this product is worth its weight in gold because it will deliver much more pack for the punch than any mascara ever could. If you'd like to pick up a set of these 3D Fiber Lashes, head to my cousin Lindsay's page to place an order, or shoot her a quick email here. Thanks for supporting her business! / / The Younique products featured in this post were provided to me by my cousin & Younique Independent Presenter, Lindsay NcCorchuk (email her here!). All opinions are my own (and true—I love these products!). Thanks Pamela! Definitely thicker & more glam than what I'm used to so it's really fun to spice it up. Thanks girl! Think you'd ever give them a shot? Gorgeous! I may need to look into this. I've learned to accept my tiny lashes, but having this on hand would be fun for special occasions... or just any old "I feel so tried/crappy, and I need a pick-me-up" day! Lindsay! :) I think you would love this stuff--though you don't need a single product or word of affirmation to make you more beautiful than you already are! I agree, I'm going to rock it on special occasions or fun nights out! I think you might really need to consider it, just for the heck of it. This is definitely something to consider! My issue is length, I get so jealous of my husband's eyelashes ... they're so long. It's not fair, why does it always work out that way! Thanks for sharing! Oh girl, yesssss. This worked wonders on your lashes! They seriously look like falsies. Woooow!! Absolutely! I play the makeup down so much when I'm in uniform that I really love to dress up when I'm not at work! Thanks, B! I should've jumped on the bandwagon after seeing yours. Can't believe I waited this long. It's definitely going to be a special look for special days, but I just love it! I've heard wonderful things from everyone who sells it. I guess it's a great company to get behind! Haha, not if they belong to your spouse. No reason to be ashamed, there! Oh so glad you like them, too! I've wondered about their moisturizer. It looks really unique and nice! Amazing, I'm a mascara junkie too! I love Rimmel Scandal Eyes! Ooh, see now that's a new one for me to try! Thanks! I need to learn how to put eyeliner on. I've never been much of a makeup wearer, but I want to be now. They look so pretty. I think it is nice that you can still use mascara with it too. Oh nice! I've seen it and just have yet to try it. Thanks! Your lashes look AMAZING!! I've been seeing this mascara everywhere and I think I'm ready to try it! I hope you do!! 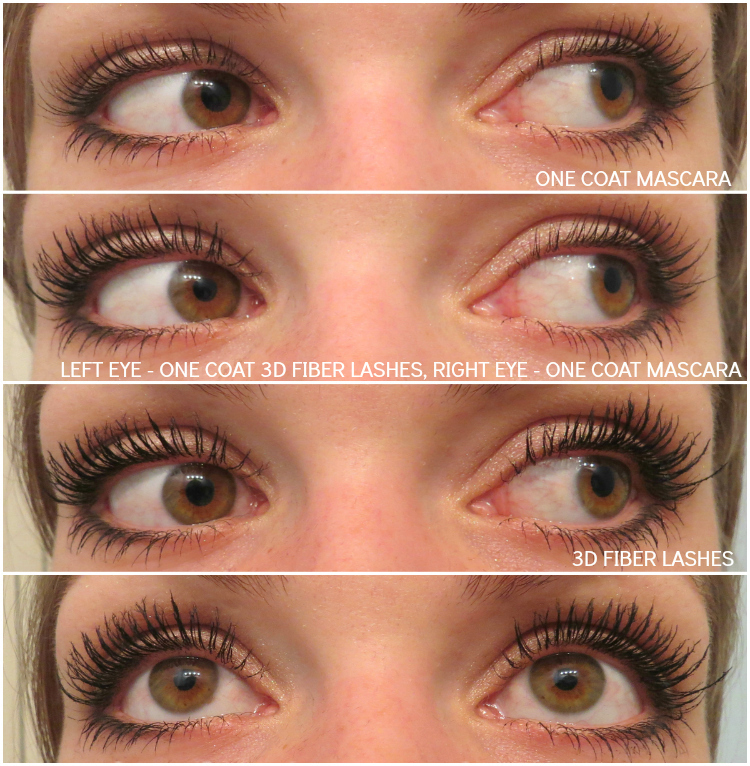 It makes it hard to go back to regular mascara--it just doesn't work like the 3D fibers do! Thanks KC! Yes, it's just awesome. I haven't heard of anyone not liking it yet! Hello! I just found your post, and of the MANY images of people who use this product, you are one of very few who are able to get the lashes so defined. I see soo many people with clumpy lashes when they use this. Can you share your secret? !